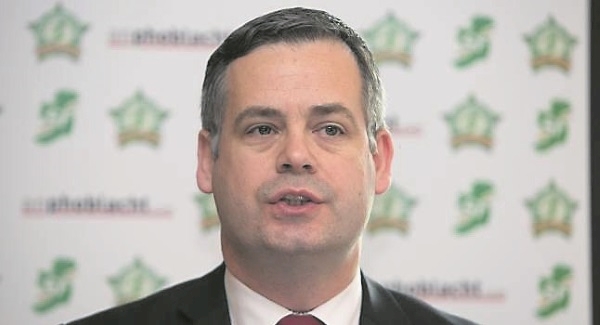 A senior official at the Central Bank has stated that the Sinn Féin bill giving mortgage holders a veto on their loans being sold to so-called ‘vulture funds’ “will have potentially severe unintended consequences”. In a letter to the Dept of Finance, Director of Consumer Protection at the Central Bank, Gráinne McEvoy stated that it is the Central Bank’s view that the ‘No Consent, No Sale’ bill “will not offer new or existing borrowers any additional consumer protection and instead has the potential to have a significant negative impact for all borrowers”. In her letter to senior official in the area of the Dept that oversees Banking Policy, Gary Tobin, Ms McEvoy states that “borrowers whose loans are sold to another firm already have the same regulatory protection they had prior to the loan sale under the various statutory Codes of Conduct issued by the Central Bank”. Ms McEvoy also argues that “removing a bank’s ability to sell loans would effectively be removing an important tool which assists banks in reducing Non-Performing Loans (NPLs) and return to their core function – supporting consumers and the economy”. In her ten page letter, Ms McEvoy points out removing a viable option for reducing NPLs currently on Irish bank balance sheets “will have a detrimental impact on the individual banks’ capital positions, and subsequently their ability to support consumers and the economy and could jeopardise market stability”. In her letter, Ms McEvoy underlines the need for the bank’s ability to reduce their NPLs. She points out that in Ireland, the high share of NPLs on the balance sheet of the domestic banks have contributed to higher interest rates on mortgage, consumer credit and business lending. She stated that banks that continue to carry elevated levels of NPLs on their balance sheets “will be more vulnerable to future shocks”. Ms McEvoy stated: “High NPL levels also impede the provision of credit due to the additional regulatory capital required, and will therefore constrain new lending to houses and firms. “Furthermore, they impose direct and indirect costs on financial institutions which may also ultimately raise the cost of creditors for borrowers. She stated that an “inability to resolve NPLs is expected to have the effect of further elongating the time required, and increasing the costs associated with, the effective workout for such loans”. Ms McEvoy has also urged the Dept of Finance to query with the Attorney General’s (AG’s) office the consistency of the Bill with the Constitution. She stated that it is the Central Bank’s view that the enactment of the Bill “would appear to result in an interference of legitimate property rights of the lender or loan owner without an appropriate consumer protection justification”. Ms McEvoy stated that the AG’s office consider “whether legislative interference purporting to unilaterally vary contractual agreements in this way would constitute an “unjust attack” on the property rights of the lender/loan owner and in light of the established legal position that retrospective measures, are prima facie, an unjust attack on such property rights”.